Gathering some of Alex Webb’s most iconic images, many of which were taken in the far corners of the earth, The Suffering of Light brings a fresh perspective to his extensive catalogue. Recognized as a pioneer of American colour photography, Webb has since the 1970s consistently created photographs characterized by intense colour and light. His work, with its richly layered and complex composition, touches on multiple genres, including street photography, photojournalism and fine art, but as Webb claims, “to me it all is photography. You have to go out and explore the world with a camera”. 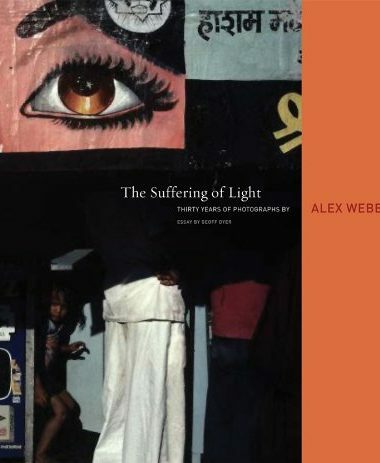 The Suffering of Light, with an introduction by Geoff Dyer, is Webb’s first comprehensive monograph and provides the most thorough examination to date of this modern masters prolific, thirty-year career.